We stumbled into the break room around 2:30 in hopes of scoring a late afternoon snack. 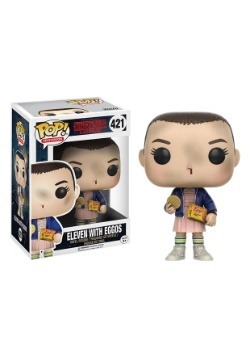 It looked like a fresh box of Eggos were on a table and we thought to ourselves, wow this is our lucky day. (Boy, we were wrong.) Anyway, we took a waffle out and immediately noted that it seemed unusually cardboard-like and small. Perhaps they're mini waffles, we thought. Our hunger persisted and our tummies rumbled ravenously, so we shoved the circular breakfast snack into the toaster and waited to hear a ding. (Spoiler alert, this is when the story takes a turn.) Once we pulled out the charred paper-thin waffle, we learned it wasn't a waffle or sustenance at all; it was in fact a playing card! 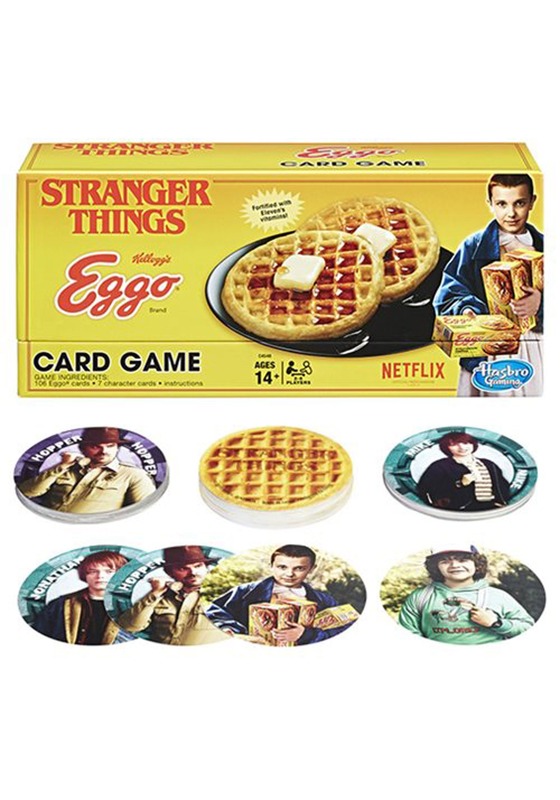 We remained hungry for the rest of the afternoon but on the bright side, it was a card belonging to one of the coolest games ever, The Stranger Things Eggo Card Game. 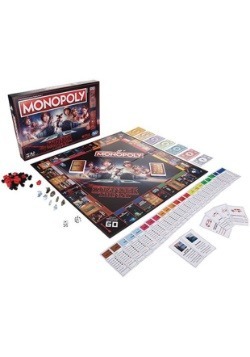 Perfect for those wanting to take a breather from an intense game of D&D, this card game allows you to play as Will, Mike, Lucas, Dustin, Eleven Harper, or Barb (R.I.P.) Players must draw four Eggo cards which can send you or another player spiraling into the Upside Down. Be careful when you're down there because you just may run into the Demogorgon. The first player who wins is the one who gets rid of all their Eggo cards. Pretty soon everyone started gathering in the break room because of the burnt smell in the air, but it was exactly what we needed to play the game. It added some excitement to everyone's day and though we never thought we'd say it, it was more fun than eating an Eggo waffle.